How can you plan for your business when everything in your life is uncertain? When you’re not sure where you’ll be next week or next month? 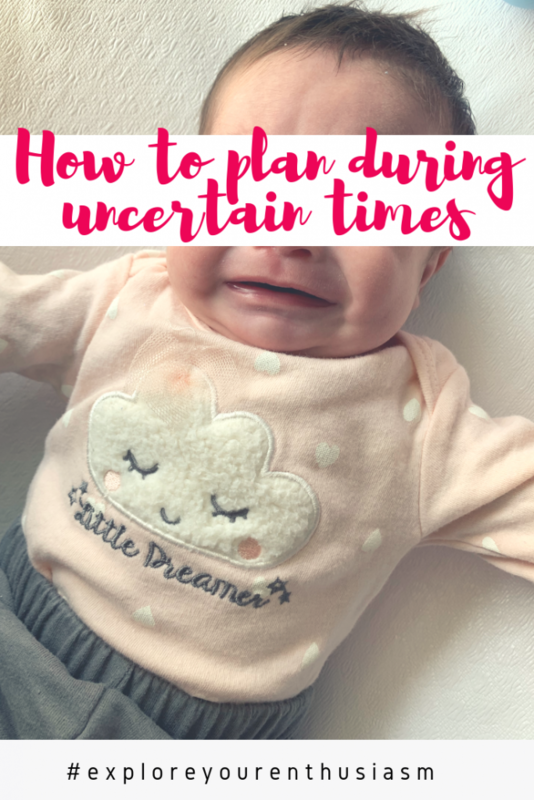 You may be great at planning normal life, but what about when there’s a family illness, a new baby, a new job, a big move, a divorce, or just the uncertainty of life? Let’s talk through how to ride these waves of uncertainty. As you know, I’m in a really uncertain season of my life as a foster parent. Heck, as you listen to this, my whole family may have changed shape (again!). How can you plan for just running your business or growing your business when everything is so uncertain? Make a list of what is the core function of your business and what has to be done to make sales. Ruthlessly cut everything else. Remind yourself that this is just for now. For this season. Things will change, you’ll have more certainty and then you can add back in all the not-mission-critical-top-priority stuff. Each week, look at what’s ahead on your calendar and what you need to do this week on top of the usual, and find the time in your week. Go on and schedule the chunks of time for work, in whatever system works for you. Something flexible, like Google calendar or post-its on your paper planner. Even if you never wrote down work times in your schedule before, now is the time to do it, because you want to first identify those times when you can work (your freaked-out brain will tell you that you NEVER have time) and then not MISS them. You always want to make sure you’ve got enough time and if you truly don’t, you get to recognize that now, when you’re planning, so you can adjust your expectations. Work when you can, manage expectations, and give yourself credit for getting ANYTHING done. You’ll notice that this comes down to two skills you have to practice: flexibility and managing expectations. You’ll need to let go of what Past You got done. Embrace the constraints on New You and celebrate what she’s able to do, even in the midst of all this uncertainty. And lemme tell you, that, for me, was the hardest part. Not comparing Mom Tara with what Past Tara could do. Not just because Past Tara had more time, but because Mom Tara had a lot more on her mind and had a hard time focusing. Now, what about planning long term projects, like applying to craft shows or traveling to events? This is definitely something I’ve struggled a LOT with. Should I plan that trip if I may not be able to go? I skipped out on a trip to Europe, which was paid for except my flight, because I thought we’d have a kid in our home. Well, we did not have a kid in our home and I was in the middle of mourning the loss of our first placement. Should I have planned it anyhow? I’m not sure. I still don’t know if I made the right decision or not, but I’ve decided to just let it go. Should you apply to that craft show if you may have to stay home? The truth is, I can’t tell you what you should do. You need to make your own decision based on your own comfort with risk, canceling and regret. How comfortable you are with having to cancel. How upset you’ll be if it ends up you could have done this event and then didn’t do it. The fact is, you may need to adjust how comfortable you are with cancelling. For years, I have followed through on every webinar plan I made. If I said I was going live next Wednesday, I’d do it. But the changing foster placements meant that I either had to NEVER plan another webinar, OR I had to just accept that I would plan things and not follow through. Since a free webinar getting cancelled doesn’t hurt anyone, I’m fine with that. But I won’t be selling anything I can’t follow through on, because I’m not going to cancel what you paid for (although I have had to reschedule some things!). So you have to think through this for yourself. Are you OK with applying to a craft show you need to cancel on? Will you be more upset if you don’t apply but it ends up you could have gone? These are hard decisions, but just keep in mind: You will be ok no matter what. I hope this has helped you think through your own plans, and that if you’re not in an uncertain place right now, you can come back to this episode when you are. If you are in an uncertain place right now I just want to tell you that I am proud of you. You are doing a good job. I’m sorry you’re going through this and I believe in you. Your business will be OK.
Just because life is a bit uncertain right now, doesn't mean everything is hopeless for your biz! In celebration of my 250th episode, I’m answering your questions! Last week I asked my Instagram followers to ask me question and I will answer them today! 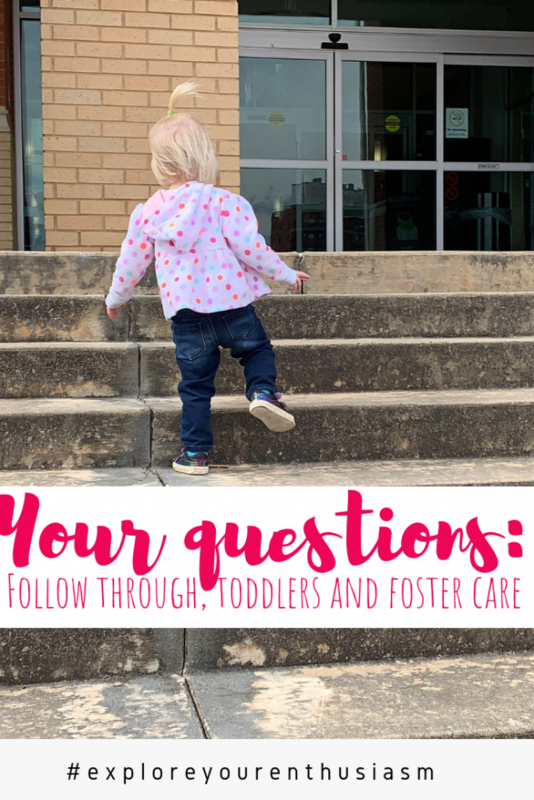 We’re going to talk about how to stick with a schedule, how my schedule has changed with a toddler and how we decided to do foster care. If you’re not following me on Instagram, I’m @TaraSwiger and I share more on all these topics every single day in my stories, along with my knitting and sewing projects and my reading list, so go follow and then comment on my last post to say hello! From @bandofweirdos: Congrats, that's a ton of episodes! I so admire your consistency 💜 Maybe you've already talked about this but: do you have any tips around getting yourself to stick to a schedule? Or are you naturally like that? I love planning it all out, what I'll post when on social media (and now youtube), what products I will release then… amazing at planning, and then letting myself push the dates all over the place. :p Thank you oh wise scheduling jedi. @bcastiel asked: Congrats on 250 episodes! Here's my question, how have you rearranged your work schedule, now that you have a two-year-old to look after? I know how focused and organized you are, so I'd be interested in seeing what adjustments you have made. 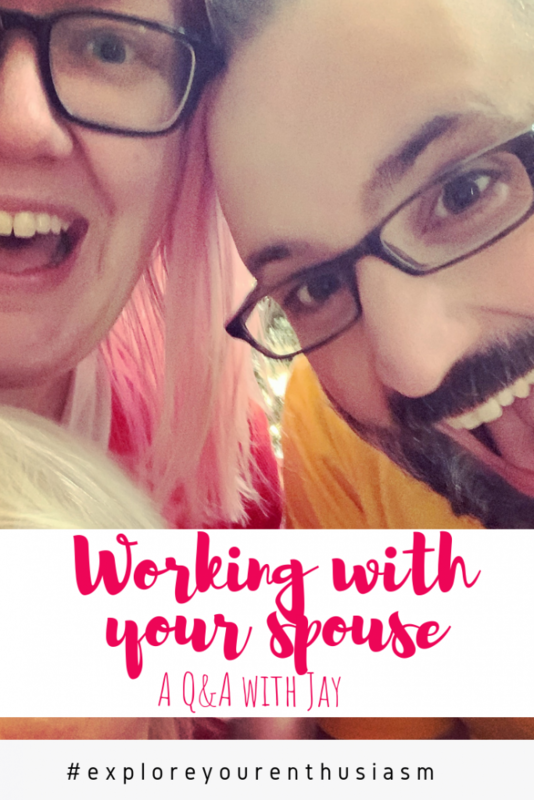 And finally, from @marymac1218: What made you and your husband decide to become foster parents? What are your top 3 most used essential oils and why? Thanks for these questions! If you enjoy this podcast, please celebrate with me by subscribing on YouTube or your podcast app, and then leaving a review! On iTunes, click the stars and write a short little bit about what you like, and on YouTube, give the video a thumbs up and leave a comment! This helps people like you find the show! Such a great episode on scheduling! It's so good to remember that a schedule only works if it works for you. I LOVE podcasts. They are the absolute perfect way to learn or be entertained while you do boring or mundane stuff. I listen to quite a few podcasts and I'm always recommending specific episodes to friends. Today I want to share my favorite with you! 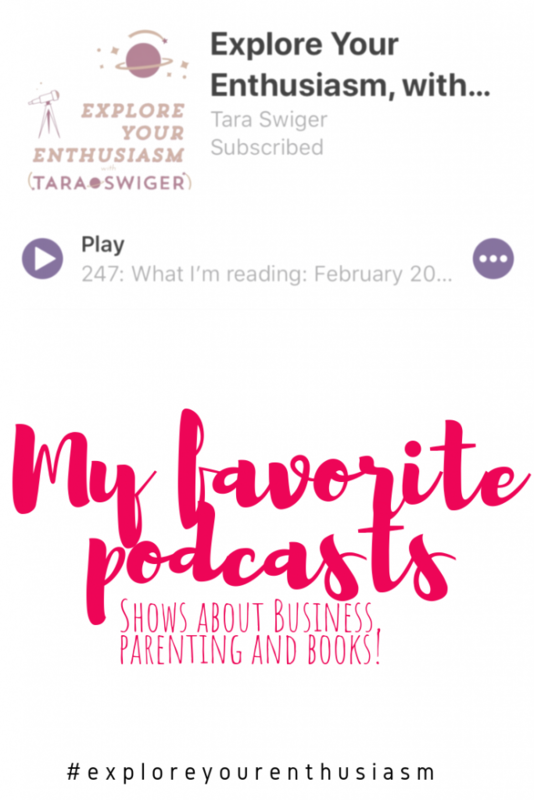 I'll cover my favorite podcasts for your business, for parenting (especially fostering and adopting), and just general fun stuff. The landscape of podcasting has changed QUITE a bit since 2006! For starters, you likely know what they are now, and you probably didn't back then. Many of you don’t even listening Explore Your Enthusiasm as an audio podcast, you watch it on YouTube. When I first started this show back in 2014, I had to explain to interested students what podcasts were and how to actually get them. If you are reading this, did you know you can get it delivered to your phone automatically? If you have an iphone, just go to the Podcast app, search for “explore your enthusiasm” and hit the “subscribe” button! It'll come to your phone every Wednesday morning. If you use a different phone, look in your app store for a podcast app, and subscribe in the same way. Before we get into my faves, let's talk about listening to podcasts for a minute – there are some podcasts I listen to every week, but MOST shows, I tend to save up and then binge on. I may spend a whole week listening to one show, and then not listen again for a month. I may completely forget about a show for 3 months, and then it becomes one of my favorites. So when I recommend these shows, I'm not just recommending the most recent episodes, I'm recommending them overall, because I've learned something from them over the years. And now that I've told you how I listen to podcasts, you don't need to apologize to ME for not hearing my most recent episode, when you meet me in person or send me a DM I get it! Hashtag Authentic – I met Sarah Tasker when she was a student in my Craft Your Marketing workshop in Manchester, England. 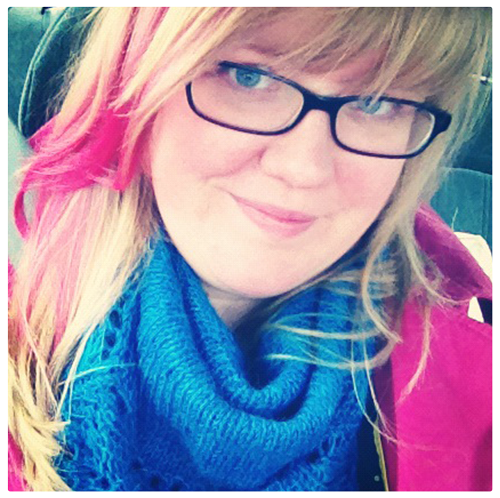 And then I was blown away when I realized that she is an Instagram superstar and writes an amazing blog. Her podcast Hashtag Authentic is SO good and has amazing interviews with people you don't hear anywhere else. And! Her book Hashtag Authentic just came out and is the best thing ever. The Goal Digger Podcast – Jenna Kutcher, who has a giant business and started out as a photographer and went viral on Instagram, shares some amazing lessons in this show. She switches between teaching episodes (kinda like my show usually is) with interviews with a really random collection of people. To be honest, I usually skip the interviews because she's had some reality stars on which is…odd, but also some great conversations about diversity in the Instagram world. I tend to pick and choose. My favorite episodes have been about concrete topics like growing Instagram or Pinterest. Hol:Fit Talks – Ange Petersen has a multimillion dollar business and is one of the top sellers in doTERRA and she believes it is all about mindset. Her episodes are so encouraging and enlightening, no matter what business you're in. All Rise Up with Allison Nichols – If you have doTERRA business, you need to be listening to this podcast. I am telling you that it is REQUIRED listening. If you have a different business, you're going to love her interviews and learn a lot about how to be a bold salesperson. Allison is another of the top sellers in doTERRA and I love how unapologetic she is about her ambition and how hard you need to work. Honorable Mention: I used to listen to both The Tim Ferriss Show and School of Greatness weekly, but I haven't listened in a few years. I became tired of the interview format. The School of Greatness, does have a more diverse line-up (Tim's show tends to be all white dudes who have giant business, many of which are “intellectual dark web” people). I also have listened to and loved The Life Coach School show, Sounds Like Bliss, Manifestation Babe. Jen Gotch is Ok… Sometimes – The first several episodes are required listening if you think you may be dealing with mental health issues. Jen Gotch is the founder of Band.Do, which means she's a super smart businesswoman…and she has bipolar disorder and anxiety disorder. Hearing her story in the first few episodes was really what I needed this summer. The Hilarious World of Depression – This is the podcast I didn't know I needed. Each week the host interviews a different funny person and they talk about their experience with depression, how they got treatment and what works for them. It is always heartwarming and sometimes heartbreaking and is what you need if you feel alone. Honorable Mention: Oprah's Supersoul Conversation. I don't think it needs an explanation. It's Oprah and some great guests and some kooky guests. Real Mom Podcast – a foster and adoptive mom interviews moms from all backgrounds and although this show is aimed at Christian moms, I think all moms can relate to the stories shared and the real conversations. Slate's Mom and Dad are Fighting – this is a panel show with 3 parents who answer listener questions and share their own “triumphs and fails” each week. Sometimes they talk about older kids, sometimes toddlers, I always enjoy it and usually listen while washing dishes. Honorable Mention: The Adoption Connection. Dear Hank And John – John Green (author of Fault in Our Stars and a million other very good novels) and his brother Hank Green (author of An Absolutely Remarkable Thing and the creator and business brains of tons of huge YouTube things, like Crash Course) have a weekly YT show called VlogBrothers, which is one of the first vlog-type things I ever watched. Now they have a podcast where they give dubious advice to listener's questions and it is always hilarious and uplifting. This is one I listen to every week within a few days of it coming out, often when I'm in the car with my foster kiddos. Honorable Mention: I was listening to Layla Saad's Wild Mystic Woman podcast for conversations about anti-racist work, but she recently changed it up and has the new Good Ancestor Podcast which I just downloaded. There are a lot of other shows I listen to now and again, all of these have been listened to recently: Nerdette, Slate's The Waves, Decoder Ring, Reading Glasses, Reply All, NPR's Pop Culture Happy Hour, Beautiful Writers Podcast, Rants and Randomness with Luvvie, NPR's Code Switch. Now that I've put all these shows in one place I can see some things I'd like to change about my own habits – I'm glad to see I am listening to a lot of shows by women, which is something I purposefully sought to change a few years ago. But I recognize that among those women there isn't a lot of diversity. This year I'd like to change that a bit, so I'm listening to and learning from people who are different from me. Adding tons of amazing podcasts to my to-listen to list!